The area provides for all tastes, whether you wish to hike along the many miles of coastal paths, enjoy the many sandy beaches, stroll through quaint villages or take a boat trip into the bay to hopefully see dolphins, there is something for everyone here! 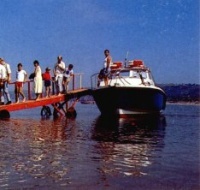 Tourist Information is available here on site. Stunning views are around every corner on the coastal paths!Cardigan Bay is home to Dolphins, porpoises, eagles, red kites, buzzards, and other amazing wildlife! New Quay boasts its own sandy beach, but there are also many "hidden pearls" along the coast! Starting in New Quay we have a superb Coastal walk from New Quay to Cymtudu. It is Coastal Heritage, and full of scenery, woods, and wildlife! You may wish to take a leisurely trip aboard one of the boats that regularly cruise around the Bay, or take in some deep sea fishing in St. George's Straits. 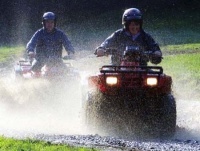 The more adventurous can try their hand at Quadding or Kart-racing (very popular with children)!. 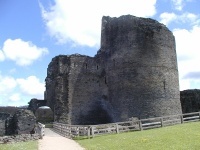 A nature park and ancient castle can be found at nearby Cilgerran.